The fine folks from WPMU DEV are running a cool giveaway for 1 annual membership, a $219 value. WPMU DEV is a WordPress community that features premium WordPress 24-7 support, plugins, and themes. Members get unlimited access to WPMU DEV plugins and themes, as well as constant access to our talented team of developers. One lucky contestant will earn a one year membership ($219) to all this goodness. To know more about WPMU DEV you can also check their WordPress.org profile, their blog WPMU.org or one of their most popular plugins, MarketPress. That's it. Feel free not to leave a boring comment (like, introduce yourself, your favorite PHP function or your best coding moment maybe?) but that's just bonus to make the web a more interesting place. By next Friday 18pm GMT I'll have my kid to draw a random comment number and I'll announce the winner on Twitter. WPMU Dev and Twitter = bookadilly. 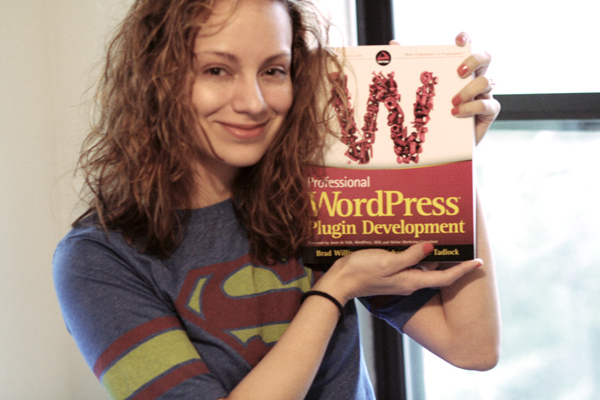 I don't have any great coding stories, but I can't tell you how much WPMU plugins have helped me out in the past. Such an awesome collection! Yes, I like WPMU DEV to help me coding and supporting my plugins. Let me in for the contest.